I love the purple and green together, great card! 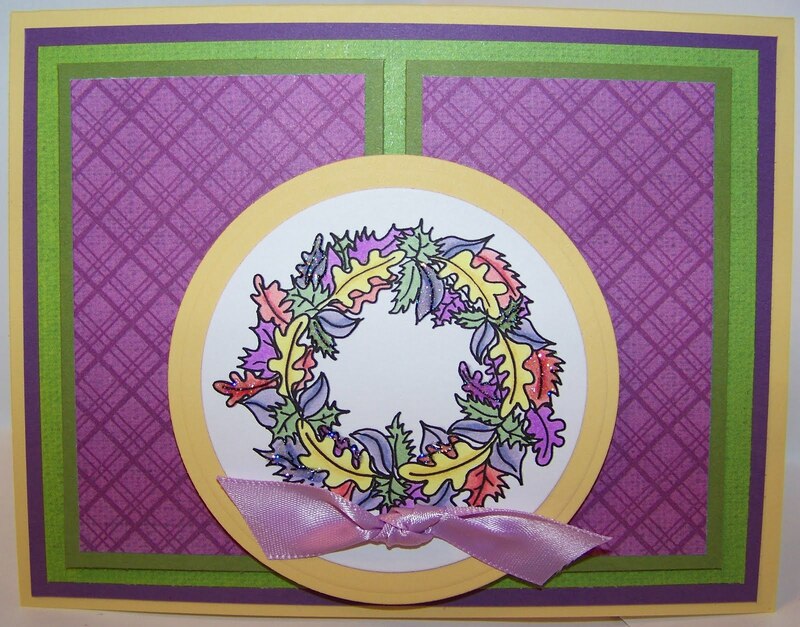 Very nice, purple and green are a stunning color combo. 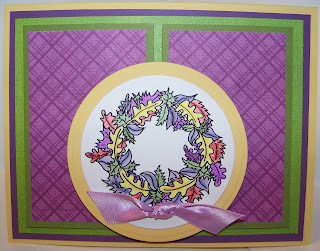 LOVE how you did this wreath in pastels!!!! Very nice card!!!! love the colors!!!!! How pretty!